Plaster mold with black rubber interior mold and plaster core. 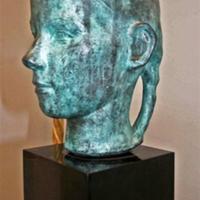 This is the head of Jean Raseman. Written on mold is "Fredericks, Young Girl with Braids and Head Girl with Braids". 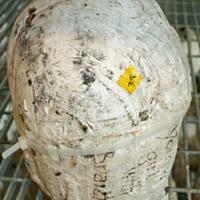 Mold is bound together with plastic zip ties. Plaster exterior mold with black rubber interior. 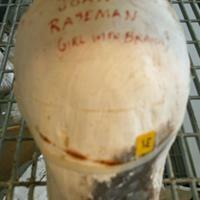 Written on the mold is "Jean Raseman (girl with braids)" Mold is bound with a plastic zip tie. 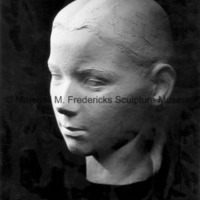 Plaster model for "Portrait of Jean Raseman"